When voters in New York's Congressional District 1 get their ballots to vote on, they will see Kate Browning on the Women's Equality line. This is not because Kate Browning is still a candidate for Congress. She has thrown her support to Perry Gershon. She did this immediately after the Democratic primary in June, when she came in second after Perry Gershon. This was a breakthrough moment when all four of Perry's primary opponents agreed to show up at a unity party to support Perry. Apparently, the voting laws in New York State prohibit removal of a candidate's name from a ballot unless the candidate is up for another office. So Kate Browning's name is there. What to do? If you are a Perry Gershon supporter, shifting your vote to Kate Browning does nothing for Perry. Don't do it. Votes for her on this ballot do not accrue to Perry even though she supports him. The votes are counted and then disappear. You are not doing what Kate Browning wants. However, if you are a Lee Zeldin voter and cannot bring yourself to vote for a Democrat under any circumstances, here is your opportunity to show your solidarity with those concerned about the rights of women. Here is your chance to express your disgust at the Cavanaugh appointment, for example. Ladies and gentlemen of Tea Party/Trump inclination, here is your chance to express yourself on the cause of women. Your vote will be counted on behalf of women even though you could not bring yourself to vote for a Democrat. Lee Zeldin will know why you didn't vote for him. The following cartoon is posted with permission of the author/illustrator, The Noir Guy. The following op-ed by former Republican Michael Koegler appeared in the Southampton Press this week. I thank Mr. Koegler for an astonishingly clear and simple statement why defeating Lee Zeldin is such a priority right now for Americans concerned about keeping their democracy. 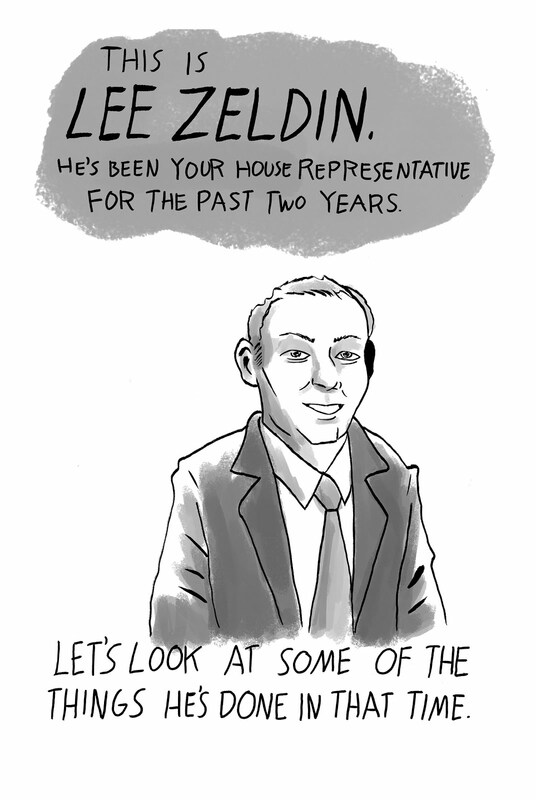 Zeldin is a mini-Trump and is a weak spokesperson for his own district. Much worse, he does not represent America because his Tea Party gang is part of the reason his party in Congress does not provide an adequate check on a President who daily shows his disrespect of our Constitution. Zeldin must be voted out on November 6. 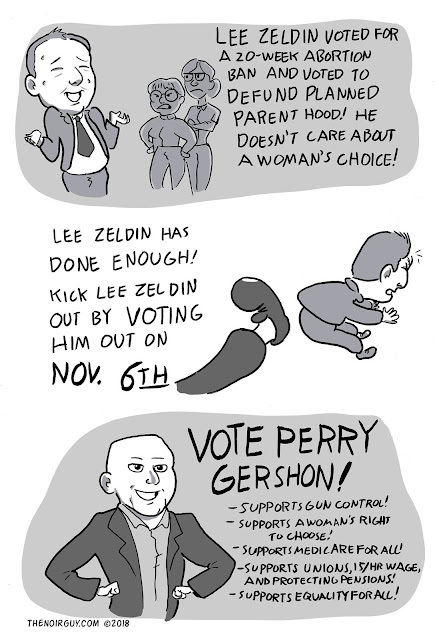 Vote for Perry Gershon. Volunteer. Give money. One place to go – https://www.perrygershon.com. P.S. Oct. 22: Don't miss Rachel Maddow's takedown of a sleazy Lee Zeldin voter-suppression tactic, sending mailers to Democrats with the wrong deadline for sending in absentee ballots. He did it in 2016 and said "Oops, sorry." Then he does it again in 2018 and says: "Oops, sorry." It's like the song "I didn't know the gun was loaded, I'm so sorry my friend," which goes on for several verses and several accidental deaths. Here's the Rachel Maddow clip: https://www.youtube.com/watch?v=k3pK9dspnDQ. I have been following the race in NY01 from the very beginning of the primary season. The first time I met Perry Gershon was at the Democratic candidate’s forum held at the Stony Brook College campus in Southampton on January 6th. 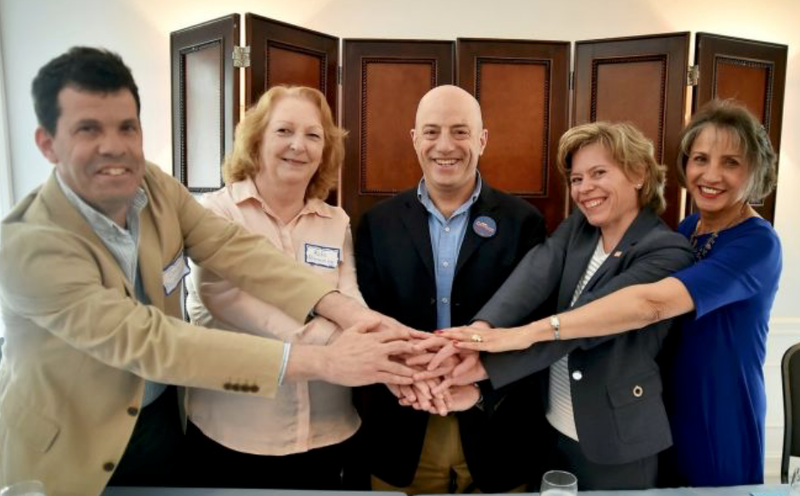 At that time there were six candidates vying to unseat incumbent Republican Lee Zeldin in this year’s general election. All of the candidates made their pitches regarding healthcare, gun control and issues related to international relations such as moving the U.S. embassy to Jerusalem. I had not made up my mind as to whom I would support and went to the event with an open mind. I listened to all of the candidates articulate their positions on many of these important issues and decided that Perry Gershon was the best one of the group to challenge Lee Zeldin in the general election. Fast-forward nine months and here we are six weeks away from one of the most important elections in the history of the United States. That is a bold statement so let me try to explain why I feel that way. There used to be a time not too long ago when I was a Republican. I switched my affiliation after the 2008 financial crisis because I felt that the Republican Party had lost its way as a result of the Tea Party and the ultra-partisan politics that they ushered in. 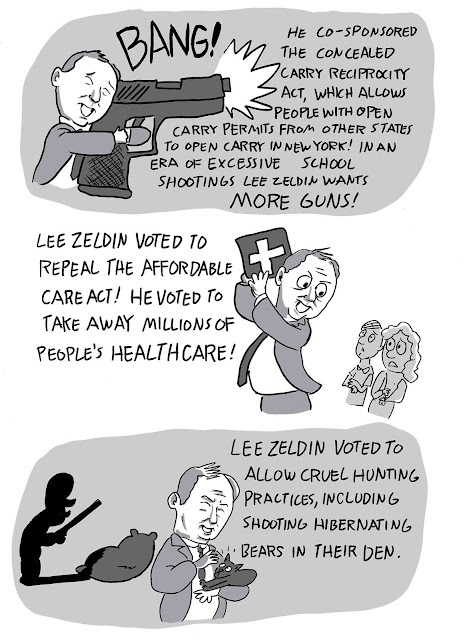 No one represents the ultra-partisan Tea Party politics in this country more than Lee Zeldin. 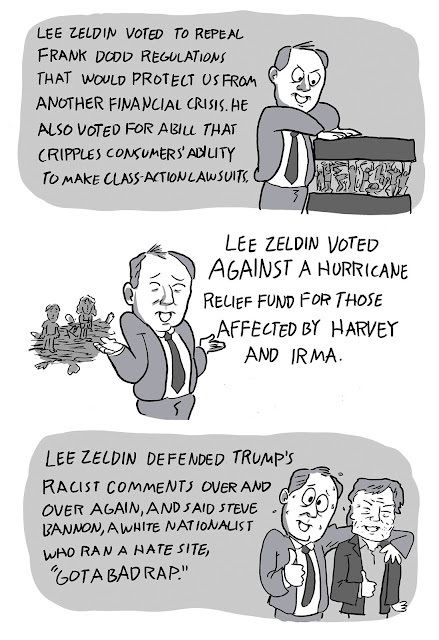 During his term in office, Lee Zeldin has showered praise on Donald Trump and demonized all of those that have been critical of him and his administration. He has enabled Trump’s criticism of the press, FBI, justice department, intelligence community and anyone else that happens to be the target of a Trump tweet storm. He is not willing to provide a check to Trump’s power and been nothing less than a Trump sycophant, parroting his hateful and petty rhetoric without regard for the damage it causes our Democracy. 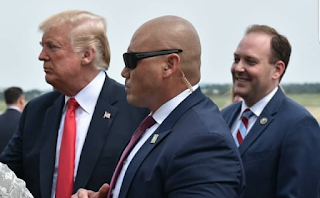 Zeldin has also perpetuated many of Trump’s conspiracy theories, including his claims that there was no election interference by the Russian government and that the Mueller investigation is a witch hunt. It is one thing to play partisan politics, but another thing altogether when you fail in your responsibility to defend our Democracy and the constitution. Zeldin’s unwillingness to keep a check on Donald Trump is the single biggest reason to vote for Perry Gershon in November. To be clear, I do not believe that Trump should be impeached, but we desperately need a check on his power. Lee Zeldin is not willing to do that, but Perry Gershon is. It is time for change. blog has passed 410,000 page views. Thank you for reading. The following are the most-viewed CityEconomist posts in the last month. The reason for the large number of views of the first post, from 2015, is that a movie about Wally van Hall, the "Resistance Banker," originally produced in Dutch, has now been dubbed in English. It is available through Netflix under the movie title "Resistance Banker." I saw the Dutch version in April. My wife Alice has seen the dubbed English version and reports that it is excellent.